And it’s true, despite having a lower income “back then”, we did have more disposable income for fashion, cinema, video games and tech. Why? Part-time jobs, bank of mum and dad and a total lack of responsibility (ie, bills, mortgages and kids of our own) nagging at the back of our minds. Young people do have money to burn, but they are highly selective in terms of where they burn it. They are also influential (no other demographic decides what is and isn’t cool, sorry folks). They’re outspoken on social media, and opinion forming – I’m still using brands I first started using during uni, for instance I still bank with Santander. The youth of today is essential to market to in order for an immediate return and for a lifetime of loyalty. With that in mind, online student community The Student Room set out to see what brands students like the best right now, the results of which are published in the Loved by Students report. While Apple may not be a surprise to anyone due to its fashionable hardware, and you may well nod at Nando’s being on the list, there are surprises. 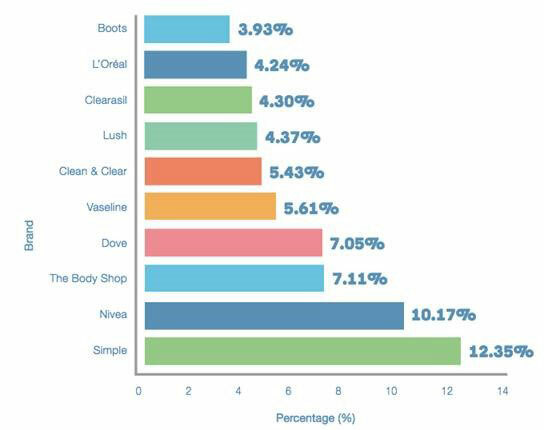 Most interesting are probably the categories where the vote was heavily split, where the most loved only just beat a range of competitors. Suggesting that loyalty is currently fair-game in those sectors. Skin-care, shoes, supermarket and clothing all left young people feeling divided on their loyalty. With Simple, Converse, Tesco and Topshop only just taking the top slot. With a concerted effort, in six to nine months’ time, a rival could easily overtake these brands in terms of student love and spend. Interestingly, Apple is the top overall brand, but only just. Suggesting other brands are close to student hearts. Marketing to youth isn’t rocket science, and there’s no doubt that deals, discounts and being the cheapest works in terms of winning immediate purchases. But being the cheapest rarely leads to being loved by students and is more of a short-term strategy. 1. Desirability. This is totally subjective, but being a desirable and cool product still trumps cost any day (look at Apple). And you don’t need to be a £1,000 laptop to be desirable. Brand and image building marketing campaigns to demonstrate a product’s personality can see chocolate bars and beauty products jump in sales. However, the definition of desirable is far removed from what it was five to 10 years ago. 2. Usefulness. Young people are smart and more pragmatic than in the past. Above everything, the effectiveness of the product and how it improves their lives is a deciding factor in its desirability. If your product does what they really need it to do, they will love you for a long time. 3. Honesty. The study showed clearly that pragmatism and simplicity is a clear trend. Students leant towards the unfussy brands that were transparent about what they do without confusing messages. This is especially important in a world where smart students talk to one another on social media like The Student Room and Twitter. Between October 2014 and February 2015, The Student Room issued an open invite to its audience to vote on the Loved by Students poll. Links to the poll were placed within the forums section of The Student Room. A total of 1,603 surveys were completed, 69 per cent were completed by females and 31 per cent by males. There was even spread of responses from around the UK, with 11 per cent of responses coming from people living outside the UK. The research was conducted by Nik Taylor, site editor at The Student Room and the report was written by Julia Faulks, freelance writer. This week's PR Research was written by Jack Wallington, community director at The Student Room.